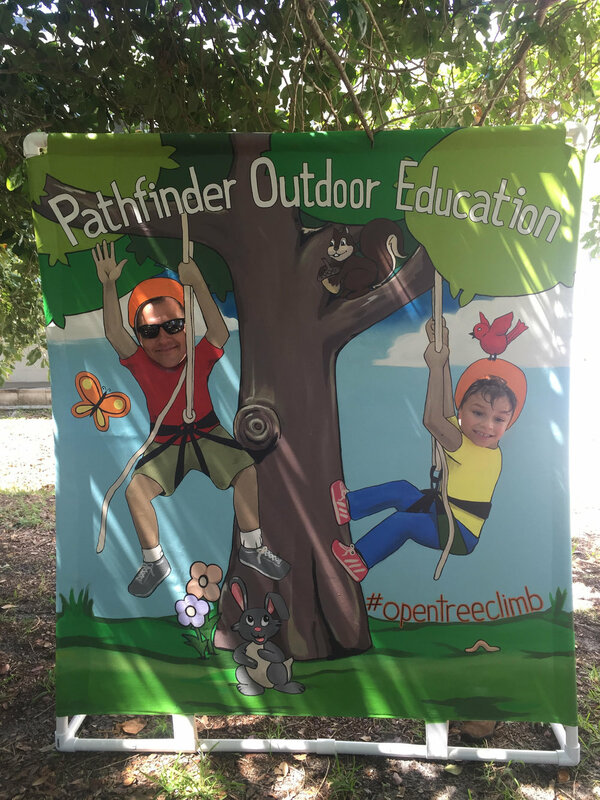 Sponsor Pathfinder's Open Tree Climb! SPONSORING AN OPEN TREE CLIMB IS A UNIQUE WAY TO PROMOTE YOUR BUSINESS WHILE SUPPORTING A LOCAL NON-PROFIT AND ENCOURAGING FAMILIES TO SPEND TIME OUTSIDE AND UNPLUGGED. 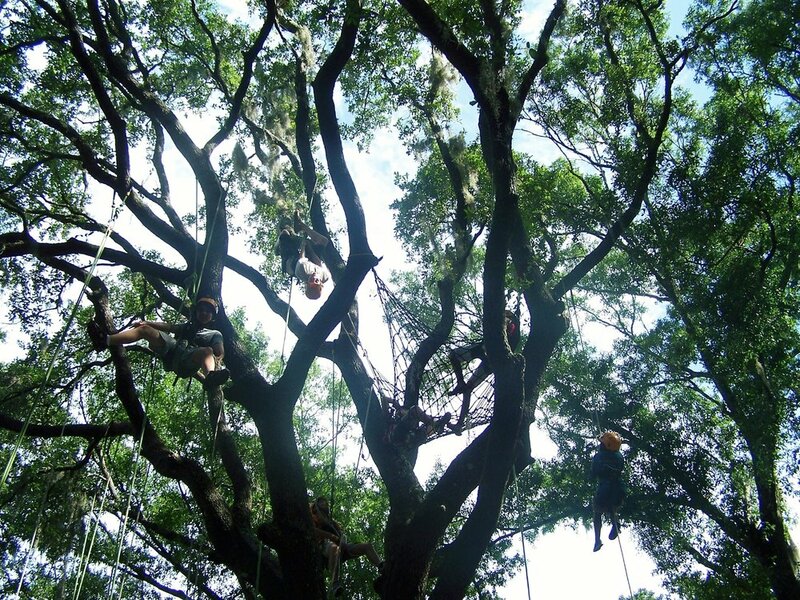 The Open Tree Climbs are a lot of fun and are an event unlike anything else in the Tampa Bay area. Climbers - anyone ages 6 and up (it's not just for kids!) - are geared up and given instructions from Pathfinder's highly trained staff. They are clipped in and then can climb at their own pace, maybe choosing to go as quickly as possible to the top of their rope or perhaps taking their time and enjoying the scenic view. They may set a goal of getting to the cargo net where they can lounge or climbing to a branch they can walk on. And the Open Climb is more than tree climbing; it's a true neighborhood, community event. We set up chairs, put out corn-hole and hula hoops, serve watermelon when it's hot and hot chocolate when it's cold. Friends and family members congregate around the tree, talking laughing and cheering on the climbers. And climbers experience an outdoor adventure that promotes self-reliance and develops healthy decision-making skills. In the past we were charging $10 per climber, but our vision is to make this an event that is accessible to all no matter your income. 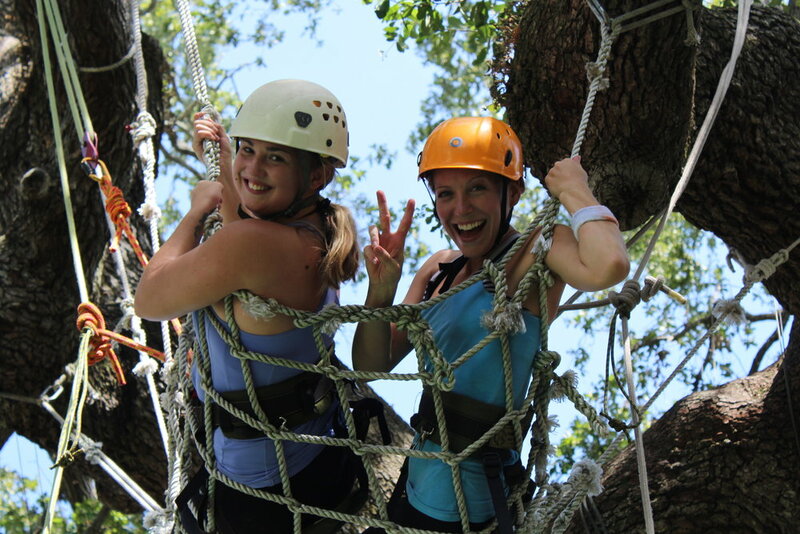 Sponsorships each month would mean Pathfinder is always able to offer the Open Tree Climbs free of charge. Your sponsored Open Tree Climb would take place the first Saturday of a month of your choosing. Climbing from 10 am to 3 pm, Pathfinder's staff could facilitate 180 climbs for anyone ages 6 and up. If you'd like information on how to gain exposure for your business while helping to build friendships and strengthen our community, contact Amy Durand, Co-Executive Director, at 727-328-0300 or amy@pathfinderoutdooreducation.org.